On 15/11/2016, Axis Bank announced recruitment notification to recruit Business Development Executive. Through this recruitment notification, Axis Bank plans to recruit Any Graduate candidates for the post of Business Development Executive. 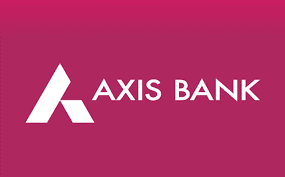 Axis Bank is planning to recruit 978 candidates for the post of Business Development Executive. Interested and eligible candidates can apply before 30/11/2016. Axis Bank proposes to receive the application from applicants in Online Mode. Eligible candidates can submit their application to Axis Bank before 30/11/2016. All those aspiring to apply can check out various information like eligibility criteria, salary, Total vacancy, Selection Procedure, Job description, last date, Application procedure and other key information required for the post below. Kindly go through all the below details before submitting your application Online.. Candidates can Get the Business Development Executive Post details such as Job Description, Number of vacancy, Qualification, Age limit, Eligibility and etc., from the table given below. Selection Will be Based on /either Written Test / Personnel Interview / Other Mode by the Axis Bank norms or decision .